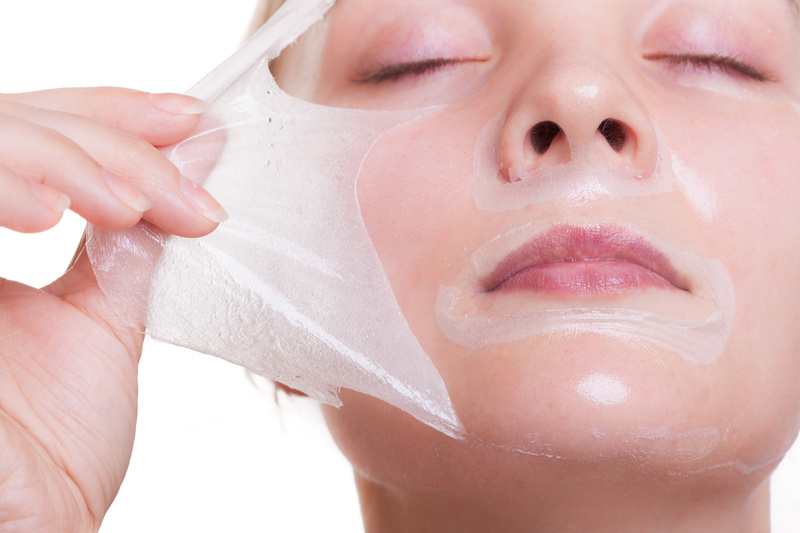 Portrait of blond girl young woman in facial peel off mask. Peeling. Beauty and body skin care. Isolated on white background. Studio shot.